In my 18 years as a sales executive working with reps and enterprises, I have received plenty of trite advice: do your homework on the customer, establish your value up front, arm your champions with the info they need to succeed. As I worked hundreds of deals, I began to see that the old advice was all true but that reps who were consistently winning applied the trite advice in unique ways. As I’ve learned from others and come up with my own way of working deals, I have some specific, practical suggestions for any enterprise rep who would like to step up his or her game. My tips for applying these principles will help reps in any organization build consensus more effectively while creating more value for both the customer and your company. Most reps think that the process of getting to know the customers and their needs starts with an individual on the phone. Although this may be true of the transactional sale, you’re already missing out on essential information if you use this approach on a strategic account. The best enterprise sales reps don't start by learning the goal of an individual at the company—they start by understanding what the entire company is trying to accomplish. To understand the company mission, you’ll want to take a look at a variety of information—I’ll talk about two sources that I would personally recommend. For publicly held companies, the information is right at your fingertips in quarterly earnings reports. You may groan at the prospect of digging through long, dry documents, but with specific goals in mind, you can strategically consume the most vital information without slogging through the full report. Find the narrative version of the company’s mission/areas of focus. This information will help you understand the big picture—where is the company headed? Glance over the company’s quarterly earnings. Look at the numbers and then find the narrative explanation for why or why not the company hit its revenue targets. This data will give you insight into the challenges the business is facing or areas where the business is succeeding. So why again do you want to find this information? You’ll have much more productive conversations with your prospects. You’ll already be able to start building your value story. Before you’re even on the phone, you can start to map the problems your product solves to the bigger challenges the organization is dealing with. Will your product/service help them reach that revenue target they missed by increasing team efficiency? Will your product/service help the company differentiate from a competitor? What does this show about the culture? How does this company process new ideas? Are they scrappy at heart or cutthroat? For example, let’s say you were interested in setting up a deal at Amazon. When you read Jeff Bezos’s biography, you’ll get an inside view of the company culture. At Amazon, Jeff Bezos created a culture of internal competition and customer feedback to vet new business ideas. By knowing this information, you’ll understand what to expect when you ask an Amazon employee to consider your new idea for their business. As you understand the company’s DNA, you can better tailor your value propositions and your story. I learned at a young age the meaning of aloha. Yes, it means hello and goodbye, but the deeper meaning represents love and compassion. I genuinely love interacting with people and want to help them succeed. Customers want to be educated, not sold. Having their best interest in who they are as a person will go a long way in closing a deal. Some of the ways to start building those relationships are to understand customer use cases, establish a regular cadence for visits, and bring leadership together. Prepare for visits by spending time with your contacts to understand their use cases. Look for use cases that align very closely with company initiatives and that you can tie back to your product/service. This strategy can help you navigate through 100 people who are all at the same level to build relationships with the most valuable contacts. When you establish a regular cadence for visiting your territories, you can ask for meetings far in advance, giving both you and your contacts time to plan and prepare so that you can maximize your productivity on-site. Avoid overscheduling and underscheduling. As a rule of thumb, my typical day trip includes four meetings with a customer lunch and dinner. This cadence provides a good amount of opportunity to interact with contacts without getting too burned out on either side. It may be slow going at first, but when you regularly visit your territories, suddenly you’ll know a lot of people at that company, and you will understand values and initiatives that they share. Before you know it, you’re facilitating communication between global leaders. As I build relationships in various business units, I am able to bring leaders together who have never been in the same room before. That first call between leaders can be a bit awkward as leaders from the same company get to know each other for the first time. However, I can quickly transform the situation when I show them how their interests and initiatives align, explain why they should care about what the other leaders are doing, and show a common use case for my product/service. What will all of this work boil down to? Building relationships with your customers. It’s so cliche, but that’s how I feel like I win deals. It’s very rare that I’m pushing people hard for their time, attention, and an immediate decision. Most of the time, I help my prospects see that I’m on their team, and if I can tell that they really are not going to get value out of what I’m selling, I’m not going to talk to them about it. Sometimes prospects will approach me and just want to buy my product now. Rather than quickly going into a closing conversation, you're better off slowing the customer down to truly understand their needs. Why? Shouldn’t you jump on that deal when they’re asking to buy? Not unless you really know your value. If you go into negotiations before you know exactly how people will use your product or service and before your champions are ready to step in and support when procurement starts a price war, you’re going to lose out on value. Ask yourself “Do I know the value of my product/service for this whole company or just for one division?” Don’t close until you have the value story for the level of the organization that you are targeting. Find out who is asking for the product and why they are asking. Ask your prospect why they want to buy now. Ask what problems the user is trying to solve. Talk to end users of your product/service to understand the upside for the organization. Ask about the customer’s current process. Learn about the tools and processes that are already in place. You may be able to find tools or processes that could complement your offering. Set up a demo to start telling your story. Make sure that your champions know the full value of your product/service and the full story you’ve woven. This is where your initial research about the company’s overall vision, purpose, achievements, and pain points really starts to pay off. Yes, this takes time. And sometimes the extra time gets frustrating to your employer as well. It’s essential that you help both sides see that knowing the full story provides the best value for everyone. Once you have the story—and a good sense for the ROI you’ll provide—you’re ready to face procurement. Sales reps are sometimes required not to talk to anyone at the company during the negotiation and implementation process, and that’s where your champions will want to step in and help when you’re not around. They should be able to remind decision makers of the value of your product/service to keep the value high for both sides. When it comes right down to it, knowing the prospective customer isn’t enough. You’ve got to know the company. Being in front of the customer isn’t enough. You’ve got to make it feel natural. Selling to the customer when they’re ready to buy isn’t enough. You’ve got to wait until you can maximize value on all sides. The last piece of advice I have: don’t just take my word for all of this. Learn from lots of different people so you develop a well-rounded approach to sales. A great opportunity to get started will be the Visualize Summit for Sales. Hear from the best of the best about strategies for improving both the transactional and enterprise sale. See you there! 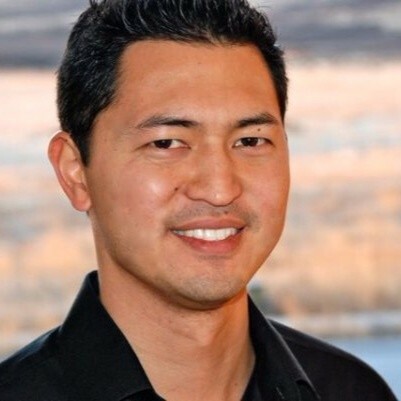 With over 18 years of experience as a sales executive, Keith Tanaka is the Head of Strategic Sales at Lucidchart. Leading sales efforts at cutting-edge tech companies like SaltStack, Digity.com, and EveryoneSocial, Keith has developed an innate ability to understand and help customers solve organizational problems on a global scale while optimizing value for both customers and companies.